Our High Potency Propolis Tincture is a solution of half pure propolis and half neutral grain spirits. Most propolis tinctures available have no more than 20 percent propolis. This means that with our product, a little will go a long way.. And our newest batch of propolis has been made with Non-GMO Neutral Grain Spirits. 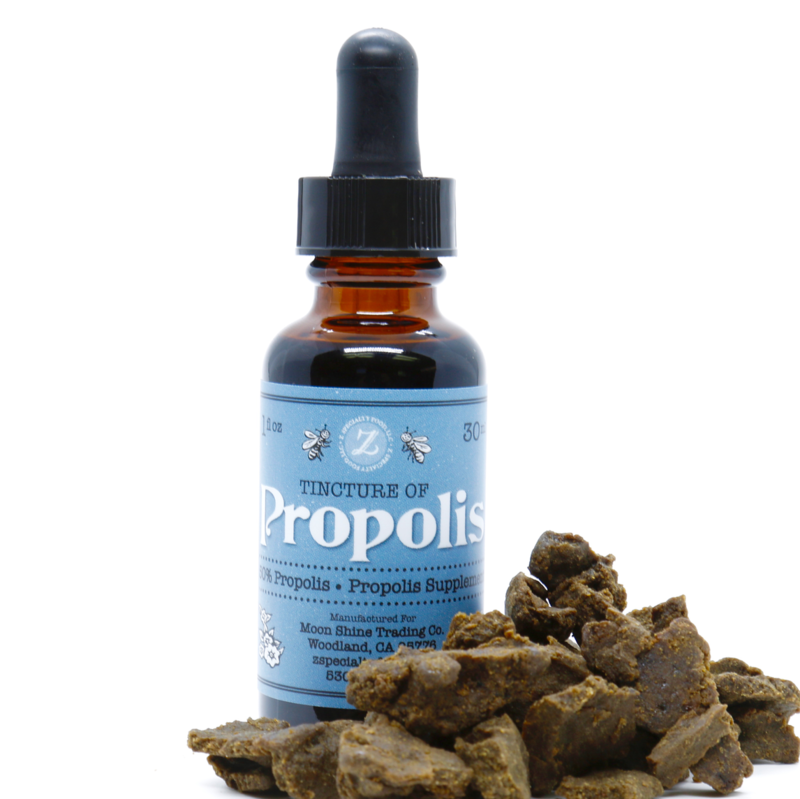 Propolis Tincture creates a protective coating over the affected area while healing at the same time. Propolis is a magical, sticky, gummy and resinous material collected by honeybees from the buds and bark of trees and shrubs. 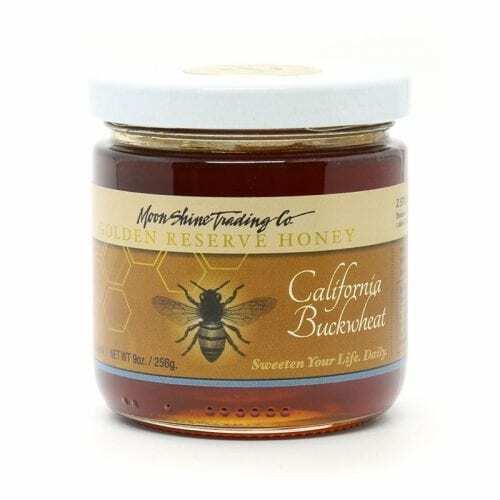 The bees use this material to fill cracks, fortify their hive and coat the entire inside to protect it from invasion. Similarly, when taken as a tincture, propolis will cover an infected area (sore throat, cut in the mouth, cut on the skin) with a protective coating, while healing at the same time. In our office and warehouse, it’s an essential element in our first aid kit. Propolis has been known to be a healing substance since ancient times; Aristotle mentions propolis in his “Story of the Animals” and considered it to be a useful remedy for wounds, infections and skin ailments. The recognized antibiotic and antibacterial properties of propolis benefit the bees and their hive in a myriad of ways. Other uses for propolis have included ointments for treating burns, cuts, wounds, and even warts.